Massimo Cantara Lived and studied in England for more than ten years and speaks fluent English. He is a member of Three Treasures Yoga, an international recognized yoga school. Massimo is a registered yoga teacher with SYM (Shiatsu Yoga Mediterraneo) as well as a professional Shiatsu therapist and teacher. He is also a qualified kinesiologist and Cranial Sacral therapist. In 1999 he founded Holismos, a centre for yoga and complementary therapies in Poggibonsi, Tuscany, and in Varese on the swiss border. He also teaches Anatomy, Physiology and bodywork for yoga Teacher Trainings. Massimo spent 12 years practicing Shorinji Kempo (2° Dan) but trained originally as a percussionist, playing for many years in various groups in the UK and in Italy. 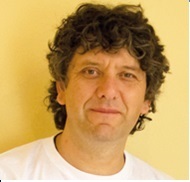 Massimo teaches a solid classical style of yoga sprinkled with ideas and suggestions from his back ground in Traditional Chinese Medicine, Kinesiology and percussion. 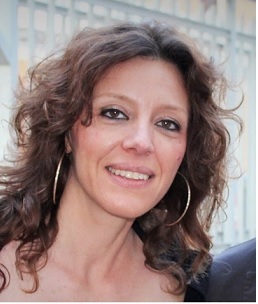 SARA DELLA TORRE, In 2010 Sara achieved her diploma has Shiatsu Practitioner after a three years course with the school of “Shiatsu and Moxa Hakusha” in Varese Italy. In the past five years she has taken part in several post diploma workshops and courses with Maurizio Parini, Massimo Cantara, Daniele Giorcelli e Roberto Vittorio Lazzaro. In 2013 She obtains certification in Cranial Sacral Therapy, after having completed a three years long training with Gioacchino Allasia. In the same year she completed her training in Lymphatic drainage massage (vodder method ) and first level Reiki. From 2014 Sara works closely with Massimo Cantara in the organization of his curses and seminars. After several years of yoga practice, in 2015 she obtains her certification as Yoga instructor with the Three Treasure Yoga School ( International Yoga Alliance) with Massimo Cantara, Molly Cofman e Virgina Wood. In 2016, together with Massimo Cantara, she opens a new Olistic Center “Holismos Yoga & Welness” in Varese, Italy.